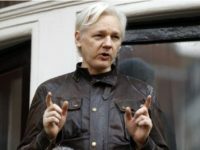 Ecuador spent around $1 million a year protecting Wikileaks founder Julian Assange inside their Embassy in London before eventually handing him over to British authorities, the country’s Foreign Minister revealed on Thursday. 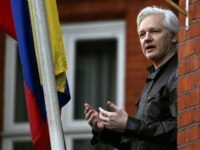 The government of Ecuador rescinded Wikileaks founder Julian Assange’s citizenship, granted in January, following his arrest Thursday morning on charges of conspiracy to hack U.S. military computers. 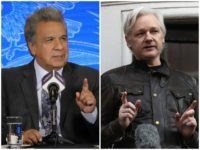 Ecuador president Lenin Moreno on Tuesday charged that WikiLeaks founder Julian Assange has “repeatedly violated” the terms of his asylum in the South American country’s London embassy. 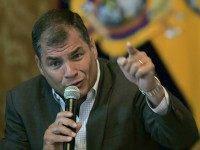 Venezuelan dictator Nicolás Maduro accused Ecuadorian President Lenin Moreno of using “Nazi persecution” tactics to vet Venezuelan refugees in his country following the gruesome murder of a pregnant Ecuadorian woman and her child by her estranged Venezuelan boyfriend. 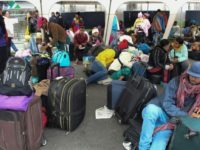 The weekend stabbing murder of a pregnant Ecuadorian woman by her estranged Venezuelan boyfriend triggered widespread demands in Ecuador for limits on migrants entering the country. 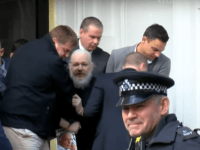 Ecuador’s president says Britain has provided sufficient guarantees for Julian Assange to leave his government’s embassy in London, where the WikiLeaks founder has been living under asylum since 2012. 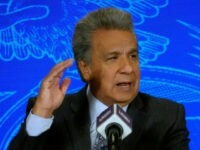 Ecuadorian president Moreno says British officials offered adequate assurances for Julian Assange to vacate the South American country’s embassy in London. 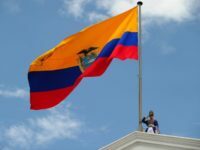 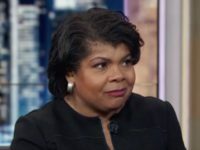 Ecuador declared the Venezuelan ambassador to Quito, Carol Delgado, persona non grata on Thursday after Venezuelan Communications Minister Jorge Rodríguez called Ecuadorian President Lenin Moreno a “liar” and implied he was acting on U.S. orders. 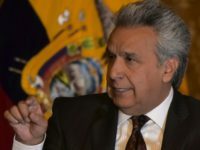 Ecuador’s President Lenin Moreno took another step Thursday towards undoing the ties leftist predecessor Rafael Correa fostered with the rogue regimes in Cuba and Venezuela, withdrawing from the Bolivarian Alliance of the Peoples of Our America (ALBA), a socialist alternative to the Organization of American States (OAS). 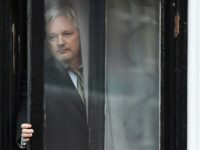 Julian Assange, the founder of the self-described “not-for-profit media organization WikiLeaks,” is facing the possibility of being evicted from Ecuador’s London embassy. 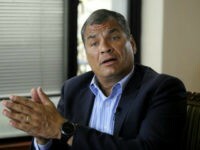 A judge in Ecuador ordered the arrest Tuesday of former President Rafael Correa, a staunch anti-American leftist whose tenure was defined by his friendly ties with Venezuela, China, and Cuba and has reportedly begun proceedings with Interpol to aid in his detention. 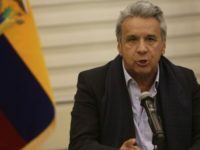 President Lenin Moreno of Ecuador abruptly announced in an interview Wednesday that his country would cease participating in peace talks between Colombia and the communist guerrilla National Liberation Army (ELN). 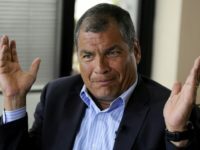 Anti-American leftist ex-president Rafael Correa will testify before Ecuadorian courts on Monday regarding his decision to sell almost half of the OPEC nation’s oil supply to China in exchange for low-price loans. 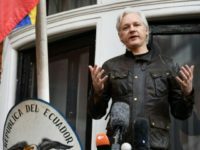 Officials in Ecuador have granted Wikileaks founder Julian Assange citizenship after five years of living in the country’s London embassy. 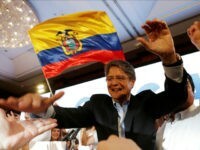 Center-right presidential candidate Guillermo Lasso has accused Ecuador’s electoral commission of fraud after leftist Lenin Moreno officially won Sunday’s national vote, extending socialist rule in the South American country for another four years. 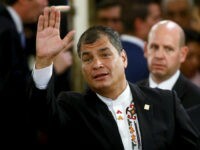 Rafael Correa, the socialist President of Ecuador, is threatening to use an obscure federal rule to dissolve both the executive and the legislature should pro-freedom center-right candidate Guillermo Lasso win the nation’s presidency in an April run-off vote.